The Frenchman confirmed to the judge that he had tried to film the police to make a complaint about their behaviour. A dozen defence lawyers had been arguing for an acquittal for the couple. 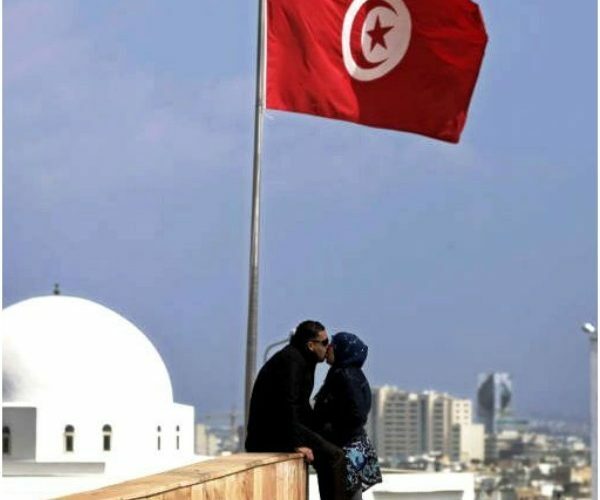 The majority of the lawyers were working for free on the case, which has triggered an uproar in Tunisia over morality campaigns and police behaviour. The defence pointed to numerous flaws in the case, including hearings in Arabic which the Frenchman, who is of Algerian origin, did not understand. “It is normal that he reacts badly when his fundamental rights were being violated,” said lawyer Ghazi Mrabet, whose client is accused of intimidating police. He pointed to what he said was “bad faith” on the part of the police, who he said were looking for revenge after being implicated over their handling of the case. “This case highlights key problems with the judicial system and the police. Abuse of powers… lack of respect for citizens and their rights, attacks on individual liberty,” said former deputy Nadia Chaabane, who is a member of a group to support the couple. “The problem is that we have judges now who accept all these breaches and procedural problems,” she said before the judgement.